The best value on the Las Vegas Strip now brings you the best gaming rewards. As a Circus Players Club member, your slot and table play earns you exciting rewards. Effective May 1, 2018, point and complimentaries earned on a Circus Players Club account will expire after twelve (12) months without activity on the Players Club account. Your casino action and Circus Players Club Card put you on your way to earning members-only benefits. Book your next stay and start earning rewards now! ...and you keep the points! Items are cumulative and may only be claimed within 72 hours of joining the Circus Players Club. Must be 21 or over. T-shirt design/color may vary. Valid for new members only. Management reserves all rights. Visit our Circus Players Club Desk or see any Slot Ambassador at Circus Circus Las Vegas to join. 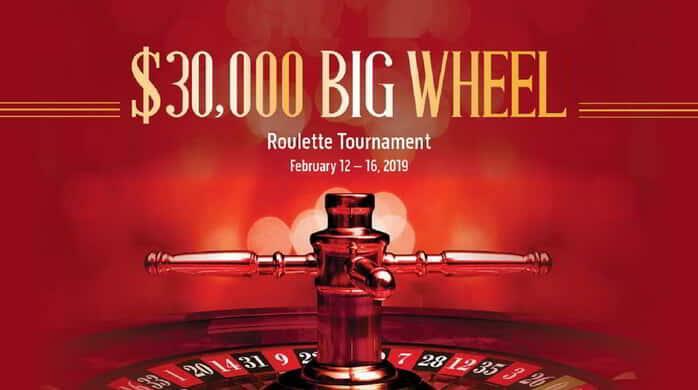 Join us at the $30,000 BIG WHEEL Roulette Tournament and have your lucky numbers ready. Must have a Circus Players Club card to participate. Full event rules available at the Circus Players Club Desk. Invited guests can contact VIP Services at 800.344.5252 to RSVP for the tournament. Event is also open to Non-Invited guests for a $50 entry fee. Contact VIP Services for more information. Our Las Vegas casino offers you over 40 table-games full of action! You've hit the jackpot! Circus Circus has the latest slot, video and electronic table games, from $.01 to $25 machines, in four casinos.